Continuing our civic project week, we thought we would revisit the recently opened Grant Park Skate Park. 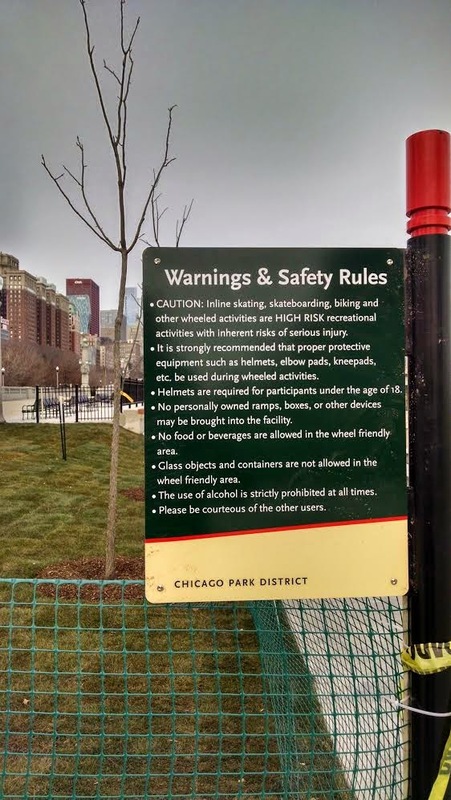 As you may have read, the new Grant Park Skate Park officially opened this past Saturday (12/6). While the neighborhood sentiment seems to be mixed, we here at Sloopin thought it was a nice addition but were slightly curious to see if/how many people would use it. I guess that's enough coverage for the city to prevent liability? Also, we didn't look that hard, but definitely didn't see many people with helmets on. To each their own... Anyway, it's also probably worth posting this entertaining video that was professionally produced for the opening of the park: Yay for tricks! Yay for drone camera's providing fun ariel videos! and yay for young people doing fun and dangerous stuff for our viewing pleasure!